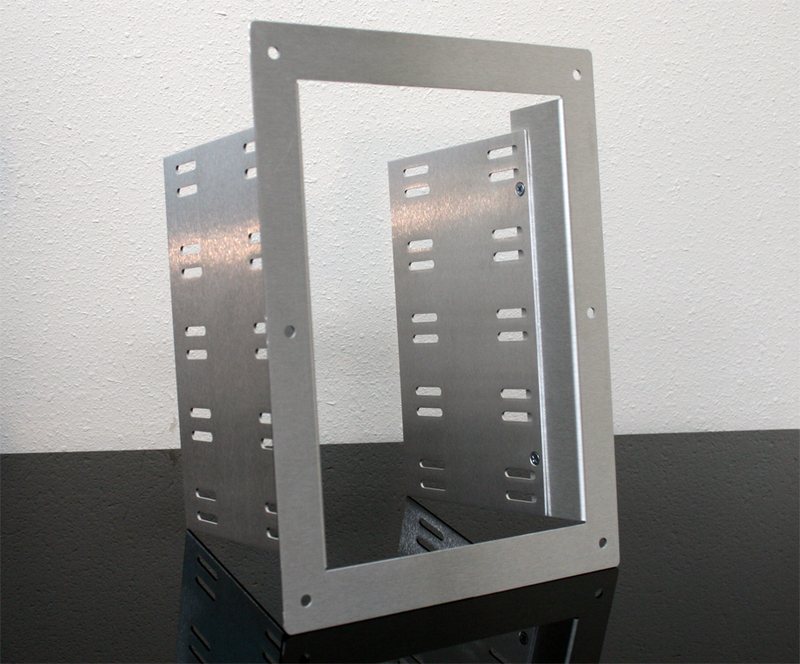 Mountain Mods 5 x 5.25 inch optical drive cage will hold up to 5 optical devices. This can be installed in any Mountain Mods front or back panel that incorporates a 5 bay cutout or can be used as an easy drive bay solution for the do it yourself type. The drive cage is completely modular and comes flat packed. 4 tapered 6-32 screws are included for fastening side walls to the 5.25 frame.